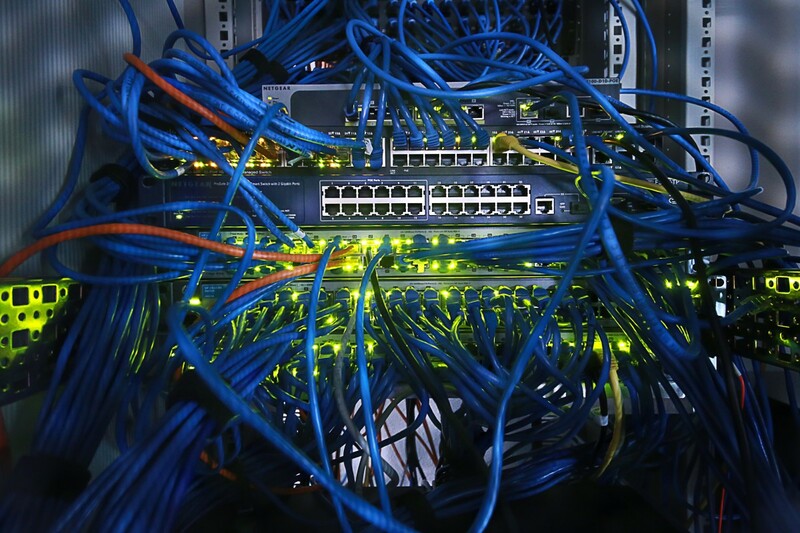 Electric circuits can perform extremely complicated tasks, even though they are governed by a relatively simple set of rules. 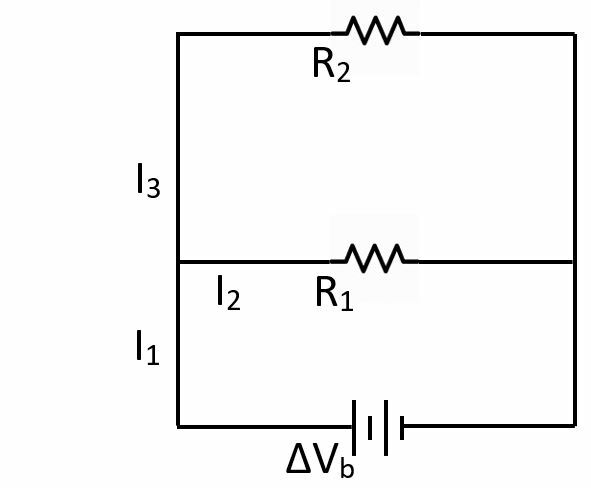 The voltage loop rule states that the net voltage difference around a loop must equal zero. Any energy gained by electrons as they pass through a battery must be expended as they pass through circuit elements in the loop. The junction rule states that the net current entering a junction must equal the net current leaving the junction. We define the direction of the current to be the direction of flow of positive charges. 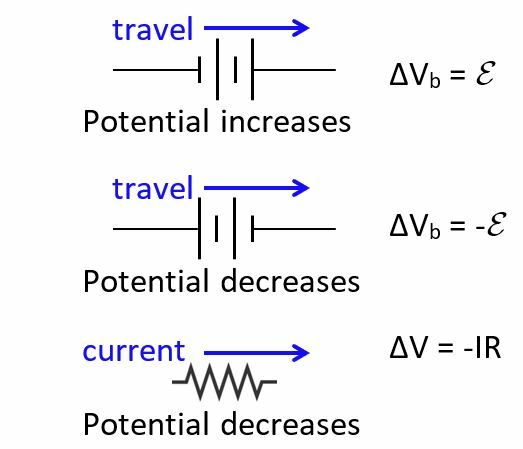 Symbols for common circuit elements are shown above. A battery symbol has the longer line on the positive terminal and the shorter line on the negative terminal. The lines on a capacitor symbol have equal length. A resistor is depicted using zigzag lines. Moving from negative to positive through a battery causes positive charge carriers to gain potential, while moving from positive to negative causes them to lose potential. The script E stands for electromotive force (EMF) and equals the potential difference across the battery for an ideal battery. This assumes there is no internal resistance in the battery. Moving through a resistor in the direction of the current causes the charges to lose potential. Consider this simple circuit, where R1 = 1.0 Ω, R2 = 2.0 Ω and Vb = 12 V. Find I1, I2 and I3. We know that power is defined as expenditure of energy over time. We can use this basic understanding to define power in a battery and power expended by a resistor. First we define change in potential energy in terms of the EMF of the battery. 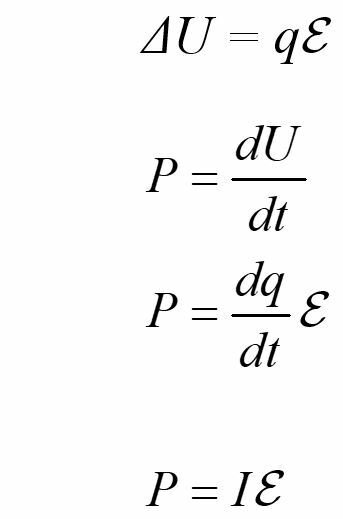 Power is the time derivative of potential energy, which can be written in terms of current and EMF. Power in a battery is the product of the current through the battery and the EMF of the battery. Similarly, the power dissipated through a resistor is the product of the current through the resistor and the potential across the resistor. Ohm's law allows us to write power in other useful ways.